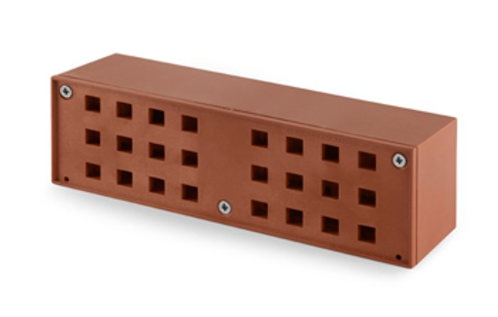 The SMART Airbrick® is an ingenious replacement for a single clay airbrick. According to Know Your Flood Risk, up to 500 litres of water a minute can enter into a property through a single airbrick alone. 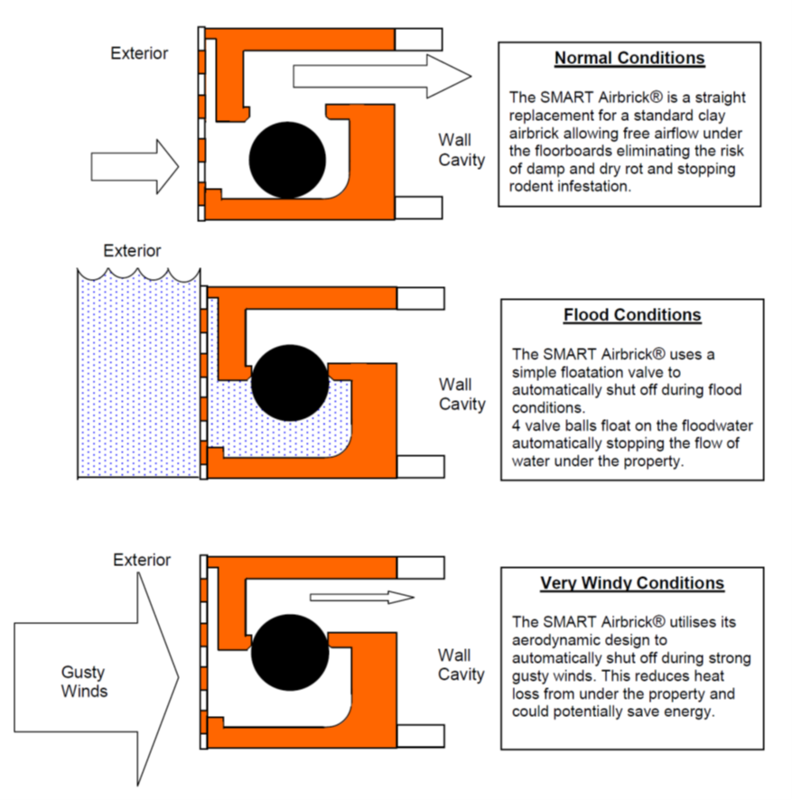 The innovative patented design acts essentially as a standard airbrick allowing unrestricted airflow underneath the property, yet under flood conditions uses the rising water to automatically shut off, inhibiting access through the airbricks and therefore flooding underneath the property. 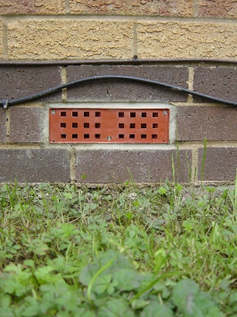 The Smart Airbrick® is used by Councils, residents and businesses alike to help reduce water ingress into a property. It achieved the BBA PPA No06/P001 and Kitemark PAS 118-1:2009 and has been rigorously tested in realistic test fluids and situations including river and sea water, wave and flow testing. They are proven to work in real floods. It does not require an external power supply to operate and can be easily cleaned after a flood. and has been rigorously tested in realistic test fluids and situations including river and sea water, wave and flow testing. 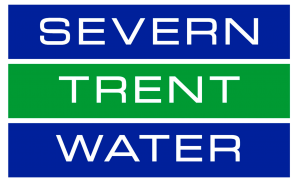 It is a passive flood protection measure that will operate when required. The SMART Airbrick® is very well engineered. It is made only of the highest quality materials designed to last including stainless steel, Brass, UV stabilized polypropylene and Glass filled ABS. They are compliant with the British Standard for airbricks and gratings (BS 493:1995) for co-ordinating size, impact testing and free airspace. There are 4 injection mouldings and a further 9 components and then 12 precision machining operations for each brick. 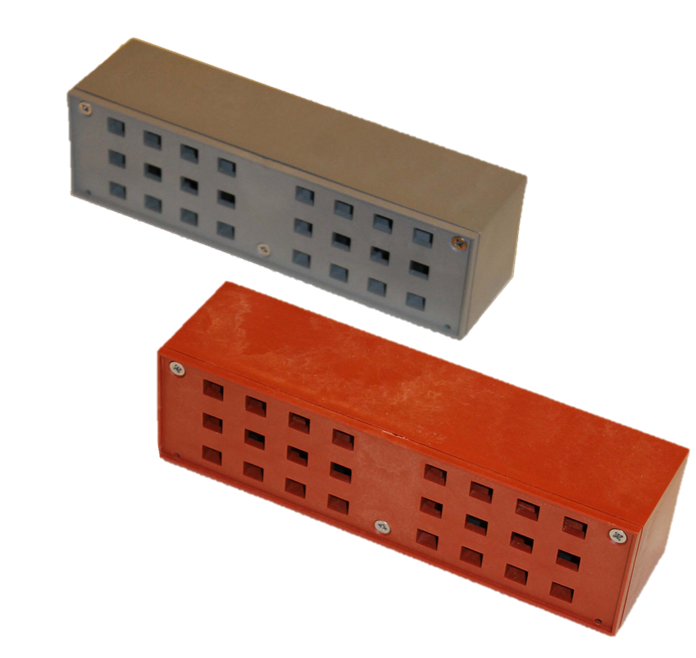 Each SMART Airbrick® is a straight replacement for a single clay airbrick co-ordinating size 225mm by 75mm. (The co-ordinating size is 10mm larger than the actual SMART Airbrick® size to allow for sealant and mortar surround.) To achieve a double size brick 2 SMART Airbricks can be joined. The airbrick can be fitted by any competent builder. 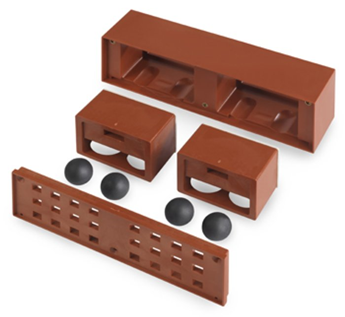 The SMART Airbrick® comes in Terracotta or Grey. We pride ourselves on our quality of our service and advice as well as the quality of our products.